Your first priority should be the safety of yourself and everyone else involved in or around the accident. Check for injuries and call 911 if necessary. If possible, move out of the way of traffic so that no further accidents happen. Tensions can get high after an accident, but don’t admit guilt or blame the other driver, regardless of how you feel. Call the police to see if they can send an officer out to take an accident report. Move yourself and your car, if possible, to a safe area, like the shoulder of the highway. If you can’t move your car, turn on your hazard lights to warn other drivers. Stop and turn off your vehicle when it’s safe. Take a breath to calm yourself, grab anything important if you can, and get out, making sure to watch for oncoming cars. Make sure not to leave the scene of the accident. Check on any others involved, including any drivers, passengers, or pedestrians. If anyone is hurt, call 911, even if it seems minor at the time. Contact the police. A police accident report can help provide an objective report of what happened when if you need to file a claim. Make sure not to admit fault or blame others at the event, and avoid revealing your insurance policy limitations or coverage. Gather and exchange information. Make sure to get all driver and passenger information (names, address, phone number, email address, driver’s license number), license plate numbers, insurance information (company and policy number), the make and model of all vehicles involved, the location and time of the accident, and the name and badge number of any police officers that come. Make sure to take photos of the accident scene if possible to help you during the claim process. If possible, get eyewitness information so they can help during the claim process. File your insurance claim. Contact your Henderson Insurance Agent as soon as possible to get the claim process started, and we’ll help you get your car repaired. Keep a safety kit in your car in case of emergencies. You should include items including a first-aid kit, a flashlight, jumper cables, road flares, any necessary medication, and food and water. Make sure to only have nonperishable food items, such as granola bars. Some other items to consider including are a portable smartphone charger and a space blanket or sleeping bag. Put all your important documents, such as your insurance information, in an area that is readily accessible, like the glove compartment Although some accidents are unavoidable, do your best to prevent accidents by practicing defensive driving and never driving under the influence. For more information about getting auto insurance, contact Henderson Insurances at (909) 784-2055. Life has a way of changing quickly; are you prepared? Most people today have health insurance through a public health care system or through an employer group. This does not mean you have all the coverage you need to provide peace of mind. Thousands of people are diagnosed with a critical illness or are seriously injured and most are surviving today thanks to advanced technology. A Critical Illness policy can provide a cash payment to use in a variety of ways. Some included, the unexpected loss of income, the out-of-pocket medical costs and travel for medical care as well as some home healthcare and rehab services. A Critical Illness Policy will help give you freedom to keep your assets, get the necessary treatment and spend time with your family. Most policies pay out a onetime cash payment which is yours to spend how you need to. A Critical Illness Policy will help pay you for living. Call us today for more information and a no obligation quote. Are you working 50 + hours a week with little time to even think about protecting your income from an unexpected long term illness or an injury? A recent study showed, younger adults ages 26 – 40 rarely think about it. With trying to balance school, career and family, the last thing you even want to think about is the unthinkable and that would be a, disabling illness or injury. A study conducted by LIMRA shows that 92.6% of people do not have disability insurance protection. Disability Income Insurance can provide replacement of your income on a monthly basis. Many individuals are accustomed to protecting their physical assets however; many leave their less visible future-earnings potential unprotected. While life insurance covers only one event, there is no telling how many times an insured might need the financial protection of disability income insurance, such as in a recurring back condition or other chronic disabling condition. Applying for and getting a disability insurance policy is not difficult and is worth the time and effort to protect your income. The income you earn is worth protecting, just as you would your home, car and life. The issue of cost is one of the most controversial aspects of the Affordable Care Act (also known as Obamacare). Supporters of health reform say requiring businesses and individual to purchase insurance will drive down costs and make insurance more affordable for everyone. Opponents say insurance offered through federal and state Marketplaces will be much more expensive than the average person can afford and requiring businesses to provide health coverage will force them to decrease staff to offset the cost of insurance. The Health Insurance Marketplaces are intended to encourage more competition to help bring down rates. As businesses and individuals enter the insurance-buying pool, experts are concerned the insurance pool will be overwhelmed with buyers who are sicker and consume more services, which causes rates to rise. Beginning in 2014, these tax credits will increase to 50% (25% for tax-exempt organizations) and are only available to qualifying employers who purchase coverage through their state or federal Marketplace. If you answered “Yes” to both of the above you may be able to claim the Small Business Health Care Tax Credit. Visit http:www.irs.gov/uac/Small-Business-Health-Care-Tax-Credit-for-Small-Employers, for more details. Or call your Insurance Broker. Another question raised for Employers is; am I required to provide my employees with health Insurance? Beginning in 2015, employers may be subject to hefty penalties if they fail to offer coverage to full-time employees and their dependents or offer coverage that does not meet affordability or minimum value standards, and at least one full-time employee receive a premium tax credit through the Health Insurance Marketplace. This is referred to as employer mandate or Play or Pay. Do you have at least 50 full-time equivalent employees? Do you offer coverage to employees? Does the insurance pay for at least 60% of covered health care expenses for a typical population (minimum value)? Do any employees have to pay more than 9.5% of family income for their insurance coverage? If you answered “Yes” to questions 1 – 3 and “No” on 4, no penalty will be assessed because you offer affordable coverage. You will want to contact your insurance broker for assistance in determining full-time employee and equivalent status. If at least one employee received a premium tax credit or subsidy in their state Marketplace, you must pay a penalty. The penalty is $2,000 for each full-time employee after the first 30. If you do not pay at least 60% of the covered health care expenses, employees can choose to buy coverage in the Marketplace and may receive a tax credit or subsidy; The Employer must pay a penalty for not offering affordable coverage. If an employee has to pay more than 9.5% of their family income for insurance coverage, the employee can choose to buy coverage in the Marketplace and may receive a tax credit or subsidy. If this occurs, the Employer will pay a penalty for not offering affordable coverage. The penalty is the lesser of $ 3,000 for each full-time employee who receives a government subsidy in the Marketplace or $ 2,000 for each full-time employee after the first 30. Will the access to employer coverage be verified? If you are thinking you get a free pass to subsidized exchange coverage in 2014 just because the mandate was postponed, we urge you to think again. The IRS will have access to the information for the 2015 tax year and could possibly check your status in 2014. Not worth the risk of trying to cheat the system. Another question came in asking if rates will change during the year and this is what their answer was: Because the (plan, rate, network) information is going to be made available only at the time the website is going to open for business on October 1, 2013, their guess is that there is going to be quite a bit off (up or down) in their projection regarding the number of sign-ups in each bucket. Insurance companies cannot revise their prices in the exchange or off the exchange for 2014. Regarding pre-existing condition- If you choose to keep your current insurance plan until the renewal date rather than enrolling in an ACA-compliant plan during the open enrollment period your plan will continue to have pre-existing condition rating until its renewal date. 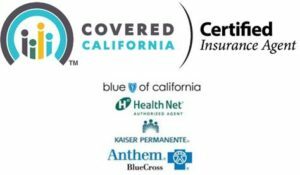 Child-Only plans still available: If one parent lives in one state and is required to carry insurance on a child that lives in California, you will still be able to buy child-only Covered California coverage for the child in California. The child may be eligible for a subsidy depending on the income of the household of which the child is a part. COBRA question: If your COBRA coverage ends during the year, you will receive a certificate of creditable coverage from your COBRA insurer. That will serve as proof to qualify for a Special Enrollment Period (SEP). You will be able to coordinate the effective date of your new coverage on the first of the month at the end of COBRA coverage. BY the way, if you are eligible for a subsidy, there is no need to wait for the expiration of you COBRA coverage. You can enroll in the “subsidized exchange” during the initial open enrollment period. What does “Fair Share” mean? The ACA considers anything less than 9.5% of your income. So let’s say you are single and earn $45,000 for a year in Los Angeles County. The Covered California calculator says you are not eligible for a subsidy. It means you will pay less for coverage than people living in areas with higher insurance costs or people who have higher costs due to their age. Even though your income is less than 400% FPL, there is no subsidy available because the premiums are low enough for your fair share. This converts to approximately $365.00 per month in premium. Upgrading coverage during the year: You cannot upgrade your coverage either in-exchange or off-exchange, once the initial open enrollment period ends on March 31, 2014, until the next open enrollment period beginning 10/15/2014. We urge you to carefully consider the plan you choose as you will see there is no changing it during the year. How often can the insurance companies raise their rates? Rate adjustments will occur once a year with the new adjustment coming in January 1 each year going forward. Also, an adult having a birthday during the year, will see the adjustment in January as well. Pay attention to the your Liability coverage: Most policies specify the company will pay up to $300,00 in total liability coverage for an accident however only $100,000 for each person injured. This would mean, if you are at fault in an accident this would leave you with a $200,000 lawsuit. Consider buying an Umbrella policy: If you have assets or likely to have them in the future, adding to your liability protection of $1,000,000 or more is recommended and fairly cheap. Have coverage for a rental after an accident: Make sure your policy covers the cost for rental in the event of an accident or covered loss. This coverage will provide a set amount for you to rent a car while yours is in the body shop being repaired. This is an added coverage and you must ask to have it included. Your Medical Bills: If you do not have medical coverage on your auto policy the insurance company will not pay the medical bills for you or anyone in your car during an accident. If someone else was at fault their insurance would cover you, that is, providing they have enough coverage. Make sure you have uninsured/underinsured motorist coverage or a separate health insurance policy. When you are on Business: Your auto insurance policy provides coverage during your regular commute to and from your job. If you use your car for work in any other way you may not be covered unless you have “business use” coverage. If you have a claim: Start a diary. Put everything in writing, makes, dates, what was said. Save receipts and get a copy of the accident report. Know the claims process: How will the insurance company pay out? Brand name or generic parts to fix the car? Will you have to go to an approved body shop or mechanic? Someone else drives your car or you drive a car you do not own: If you allow a friend or family member to drive your car, that person or even your car might not be covered, depending on the insurance company/policy. Renting a car, you may also need to purchase extra coverage and some policies will not provide protection. Comprehensive Coverage: covers damage to your car in situations other than a collision with another car or a stationary object. Provides coverage for theft, vandalism, damaged by flood. Collision Coverage: If a collision occurs with another car or a stationary object and you are at fault, your policy will provide coverage in order for you to pay for the repairs to your car. Uninsured Motorist Bodily Injury – This may pay for damages when a covered person is injured and the person at fault for the accident does not have liability insurance. Underinsured Motorist Bodily Injury – This may pay for damages when a covered person is injured and the person at fault for the accident does not have enough liability coverage. Underinsured/Uninsured – This may pay for damages when a covered vehicle is damaged and the person at fault for the accident does not have liability insurance or does not have enough liability insurance. Read your policy to understand your coverage.